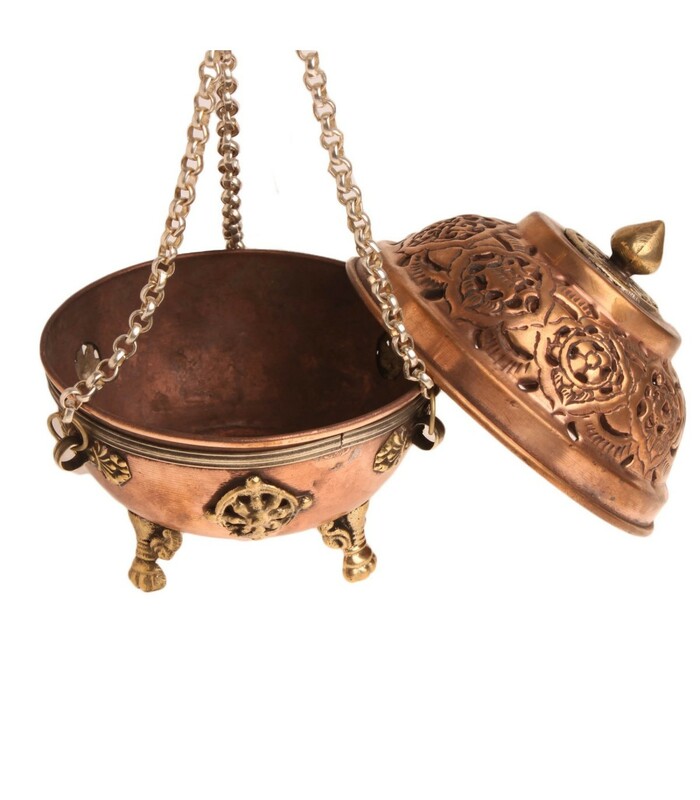 This round shaped copper bowl can be used for burning incense cones and coals. 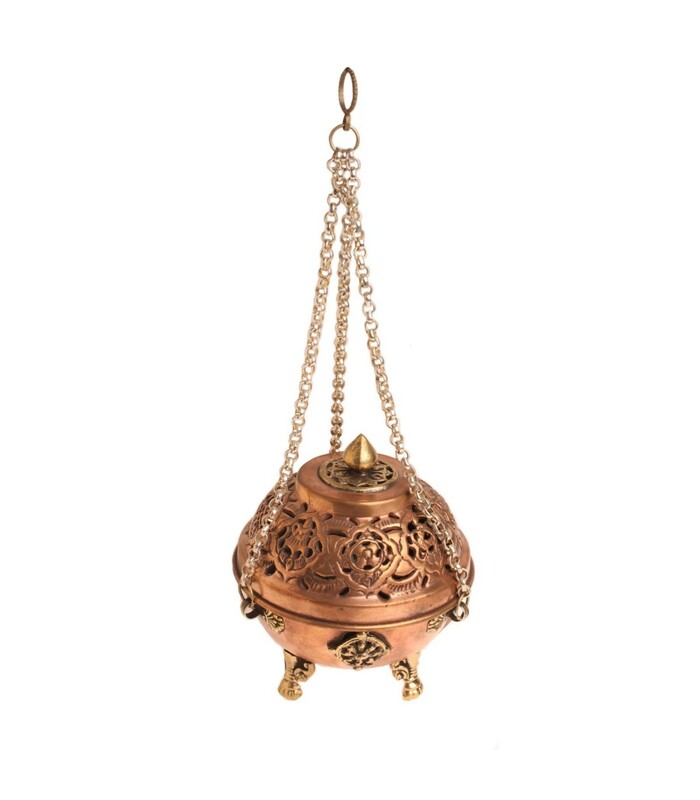 It has small holes carved on the detachable lid that releases the incense aroma and smoke. 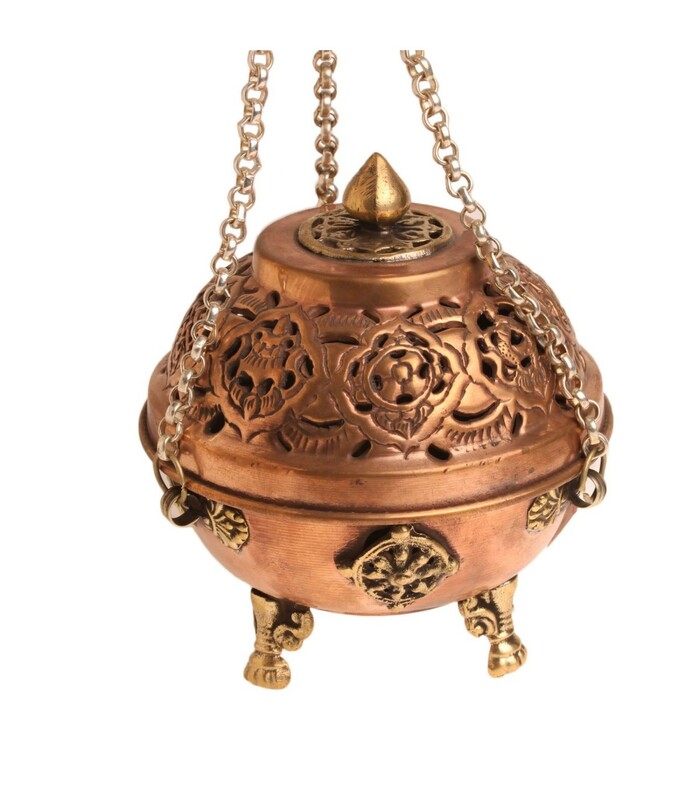 This bowl incense burner can be placed on table or can be hanged where ever you please.